As a mother, you are very particular about the health and well-being of your little munchkin. And when you notice yellowish and scaly patches on its tiny head, you start panicking. Well, there is nothing much to worry as this is a skin condition called cradle cap. It is not as bad as it looks, and more often than not, it disappears by itself. However, we understand your concern and need to get rid of it at the earliest. A little patience, time, and effort, along with some natural remedies, are all you require to get rid of cradle cap for good. Scroll down to find out how. Cradle cap is a medical condition that causes crusty or oily and scaly patches on a baby’s scalp. It is medically known as infantile seborrheic dermatitis. Although it is not itchy, it can cause thick white or yellow scales that are difficult to get rid of. The exact cause of cradle cap is unknown. However, there are are a couple of factors that could be the culprits. They are discussed in detail below. Hormones that are passed from the mother to the baby before birth. These hormones could trigger too much production of oil in the oil glands and hair follicles. A yeast (fungus) called Malassezia that grows in the sebum within the hair follicles, along with bacteria. Adults can also develop cradle cap. But when they develop a similar condition, it is commonly known as dandruff or seborrhoea. The exact cause of this condition also remains unknown. Nonetheless, Malassezia furfur, the same fungus responsible for cradle cap in infants, is thought to play a role in the development of seborrhoea. So, what are the signs and symptoms of this condition? Let us now look at the age groups that are prone to developing cradle cap. Babies aged between two weeks and three months are at the highest risk of developing cradle cap. Although in most cases, cradle cap disappears before the baby completes one year, it can also be seen in infants above 12 months. The unsightly appearance is more than enough reason for wanting to get rid of cradle cap. If your baby has ended up developing this condition, don’t worry. Given below are some of the best home remedies that can help in treating cradle cap naturally. Massage a little coconut oil gently into your baby’s scalp. Leave it on for 20 minutes before washing it off. 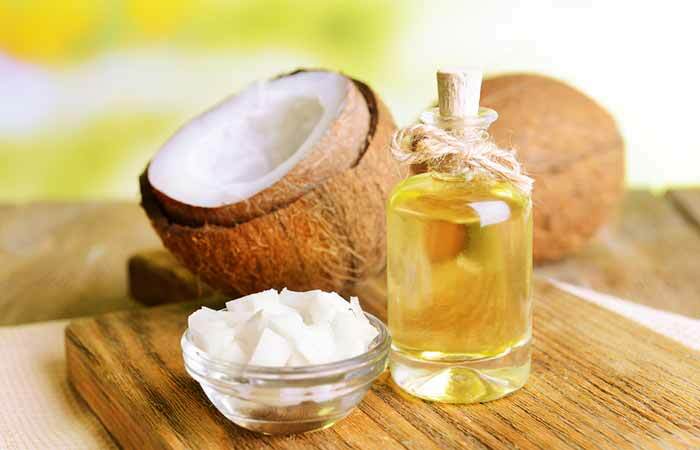 Coconut oil is widely used for its moisturizing, anti-inflammatory, and antifungal properties (1), (2). It moisturizes and softens the scaly scalp, reduces inflammation, and fights microbial infections (if any). 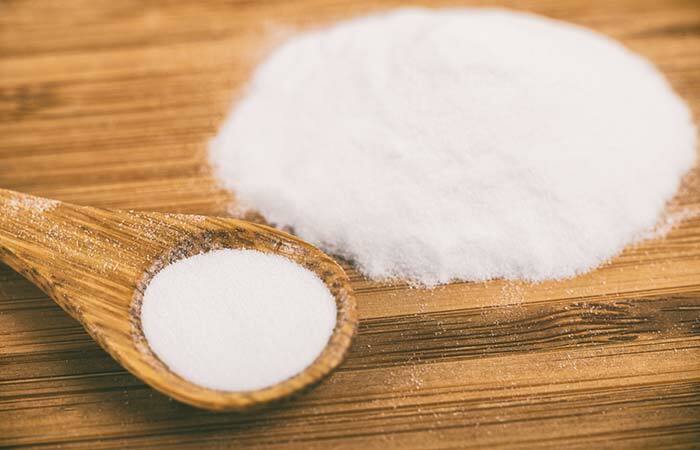 Mix a teaspoon of baking soda with some water to form a paste. You must do this once daily, preferably before bathing your baby. The anti-inflammatory and neutralizing properties of baking soda help restore the natural pH of your baby’s scalp (3). This, in turn, helps reduce the flakiness. Baking soda also has antibacterial properties that eliminate any microbes present in the scalp (4). Take a few drops of breast milk and gently apply it to your baby’s scalp. Leave it on for a few minutes before washing it off with water. 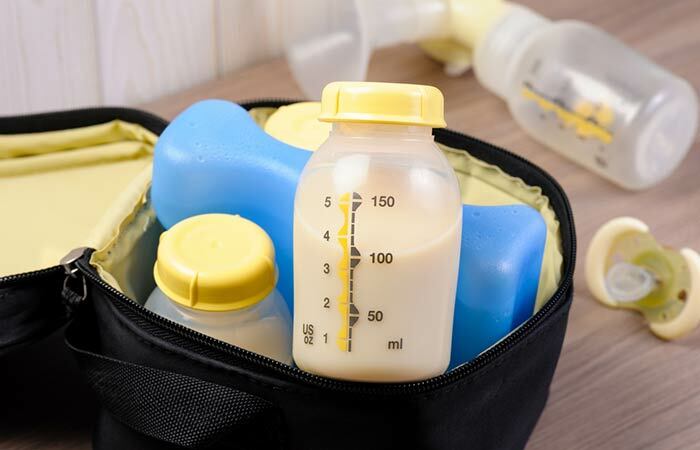 Breast milk is a rich source of various antibodies that boost your baby’s immunity (5). Its topical application softens the dry and scaly scalp, thereby making the removal of the flakes easier (6). 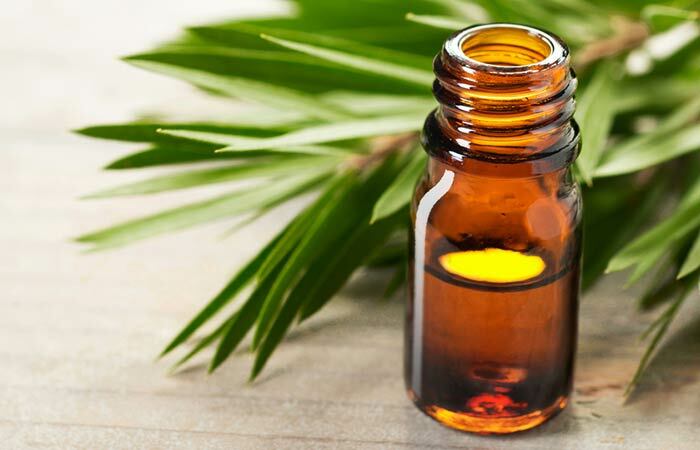 Add two drops of tea tree oil to two tablespoons of coconut oil and mix well. Apply this mixture directly to the scalp. Tea tree oil is widely used for treating various skin ailments due to its anti-inflammatory and antimicrobial properties (7). The antifungal properties of tea tree oil eliminate the Malassezia species of fungi, which is one of the causes of cradle cap (8). Mix two drops of lavender oil with two drops of coconut oil. Apply the mixture to your infant’s scalp. Leave it on for 15 to 20 minutes and then bathe your baby. 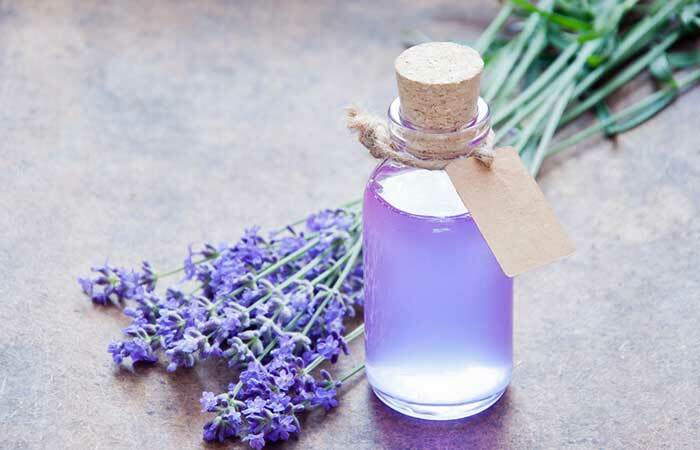 The antifungal properties of lavender oil fight the fungi that are responsible for the formation of cradle cap (9). It can also help in softening the scales and make their removal easier. Apply some Vaseline to your baby’s scalp. 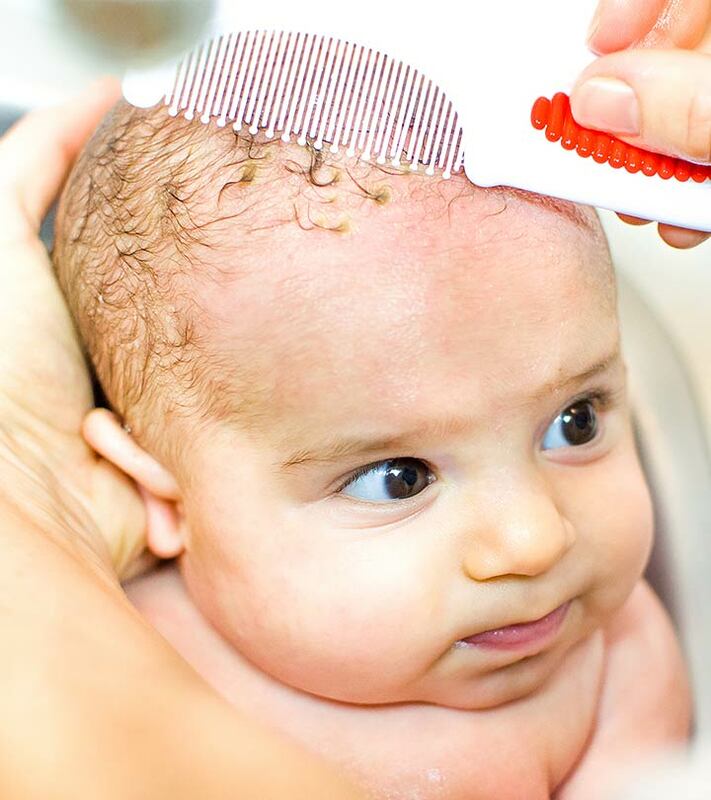 Leave it on for an hour or two, after which you can brush your baby’s scalp gently. 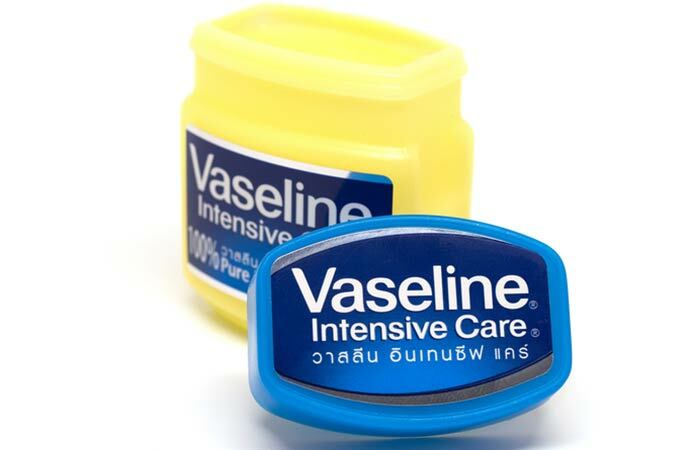 Vaseline has amazing moisturizing properties that can soften the dry and scaly scalp of your little one. The softened flakes fall off easily, and the cradle cap will vanish in a week (10). Mix a teaspoon of lemon juice with two teaspoons of coconut oil. Apply this mixture to your infant’s scalp. You can also scrub lightly with a lemon peel to dislodge the flakes. Leave it on for 15 to 20 minutes and then wash it off. Do this once daily or every alternate day. 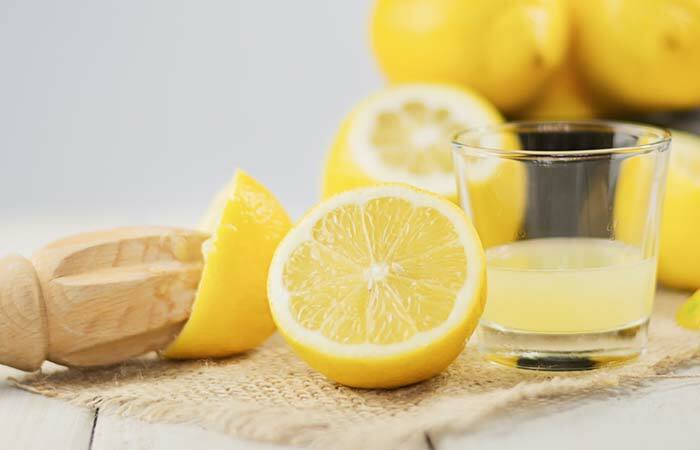 Lemon has anti-inflammatory, antimicrobial, and bactericidal properties that can help in combating seborrheic dermatitis-causing yeast and bacteria on the scalp (11), (12). Apply a little almond oil to your scalp and massage gently. Using a soft brush, gently comb your baby’s scalp. Once the oily flakes come off, you can bathe your baby. 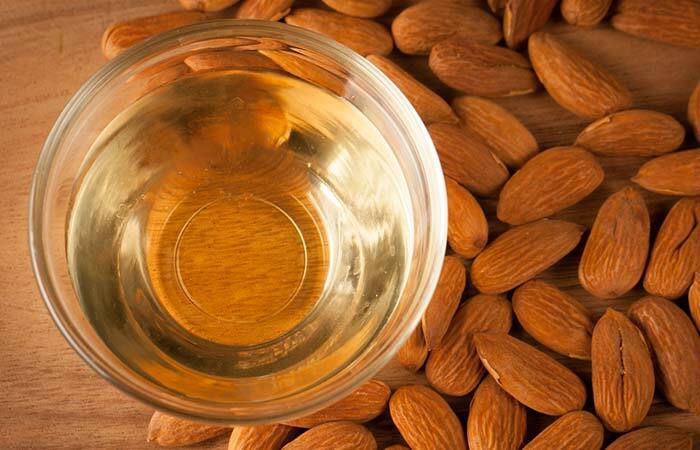 Almond oil is quickly absorbed by the skin. It can help dislodge the debris and flakes from the hair follicles, thus helping you get rid of cradle cap. It also has anti-inflammatory properties and can help soothe any inflammation in your baby’s scalp (13), (14). 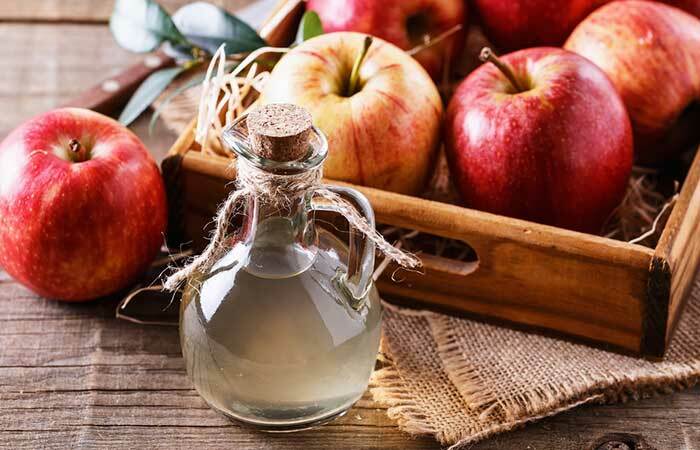 Mix a tablespoon of apple cider vinegar with two tablespoons of water. Apply this mixture to your baby’s scalp. You must do this twice a week for 2 to 3 weeks. The acidic nature of apple cider vinegar plays an important role in getting rid of cradle cap. ACV restores the lost pH of your baby’s scalp, which speeds up healing (15). Its anti-inflammatory and antifungal properties reduce inflammation and fight the microbes responsible for causing cradle cap (16). Take some aloe vera gel and apply it directly to your baby’s scalp. You must do this daily, preferably after bathing your little one. Aloe vera gel is used for treating a variety of skin conditions, including cradle cap. 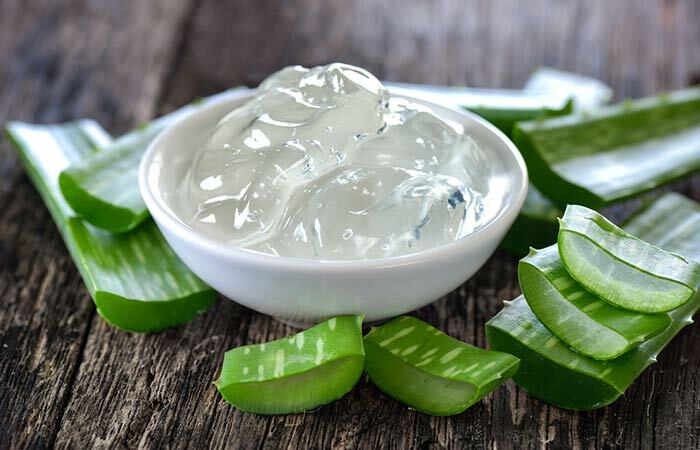 The soothing and moisturizing properties of aloe vera can help in speeding up the recovery of the scalp (17). The antifungal properties of this gel offer protection from the potential threats like Malassezia species of fungi (18). Take a few drops of argan oil and massage it gently into your baby’s scalp. 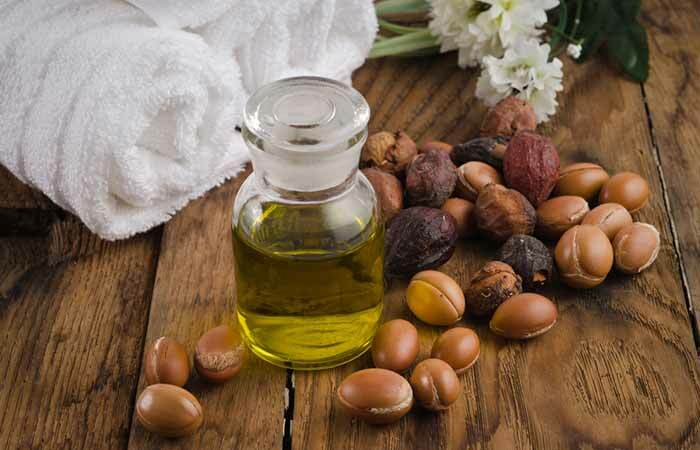 Argan oil is a rich source of vitamin E, which is known to heal many skin conditions. The healing and anti-inflammatory properties of argan oil help in treating cradle cap (19). Apply a few drops of castor oil to your infant’s scalp. Massage gently and leave it on for an hour. Bathe your baby and remove the dislodged flakes from his/her scalp using a soft brush. 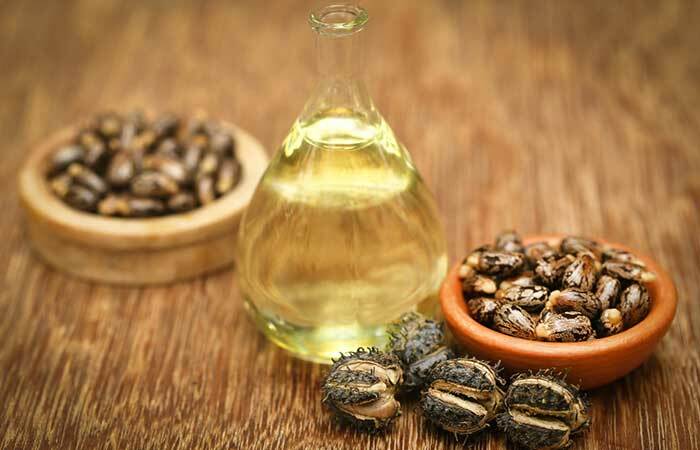 Castor oil helps to seal in the moisture of your infant’s scalp (20). This can keep it well-moisturized and help in getting rid of cradle cap permanently. 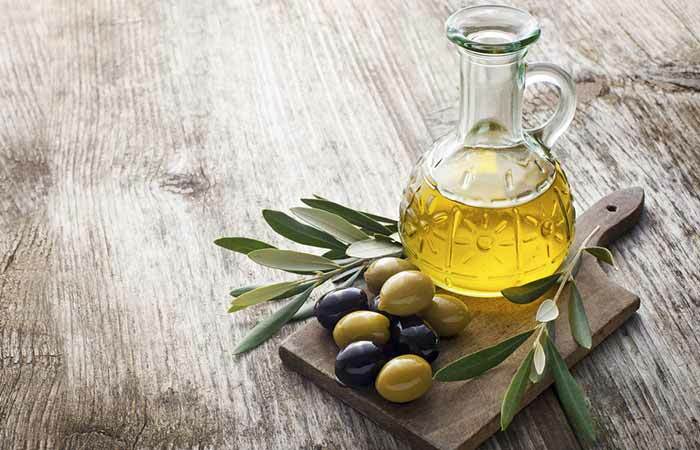 Apply some olive oil to your infant’s scalp. Using a soft brush, remove the dislodged flakes from your little one’s scalp. Do this on a daily basis until you notice an improvement in your baby’s condition. Olive oil is another popular remedy for getting rid of cradle cap. It is quite moisturizing and can help in softening and dislodging the thick flakes and crusts on the scalp. And its antifungal properties protect the scalp from fungal infections (21). Following these remedies is not always enough. Your little one might still be at the risk of developing cradle cap again. Hence, you must consider following a few tips to prevent the recurrence of this condition. They are as discussed below. Wash your baby’s head on a daily basis. Use your fingers or a brush with soft bristles to rub on your baby’s scalp gently. This can improve blood circulation in the scalp. Try and increase your biotin intake by consuming foods like eggs, almonds, cauliflower, spinach, cheese, and mushrooms. Other than its unsightly appearance, cradle cap is not a major concern when it comes to your infant’s health. 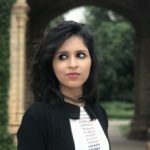 The home remedies discussed in this article are quite effective in helping you get rid of it for good. But if you do not obtain the desired results even after using these remedies for a while, talk to your doctor. 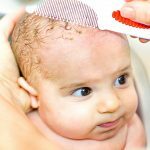 Does cradle cap affect hair growth? Although cradle cap does not directly affect hair growth, it could cause hair loss while combing and trying to get it off your baby’s scalp. How long does it take for cradle cap to go away? Cradle cap usually disappears on its own before an infant completes 12 months. But in some cases, it is observed in children aged above 1 year as well.